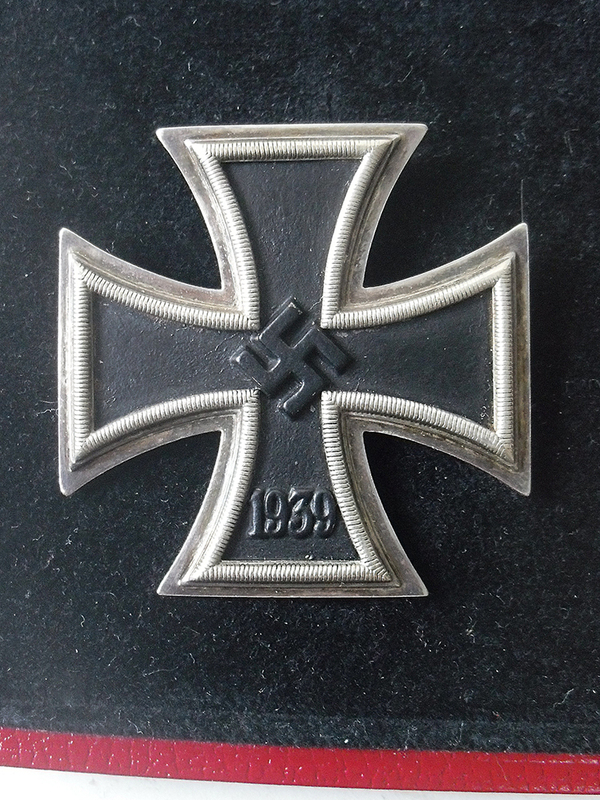 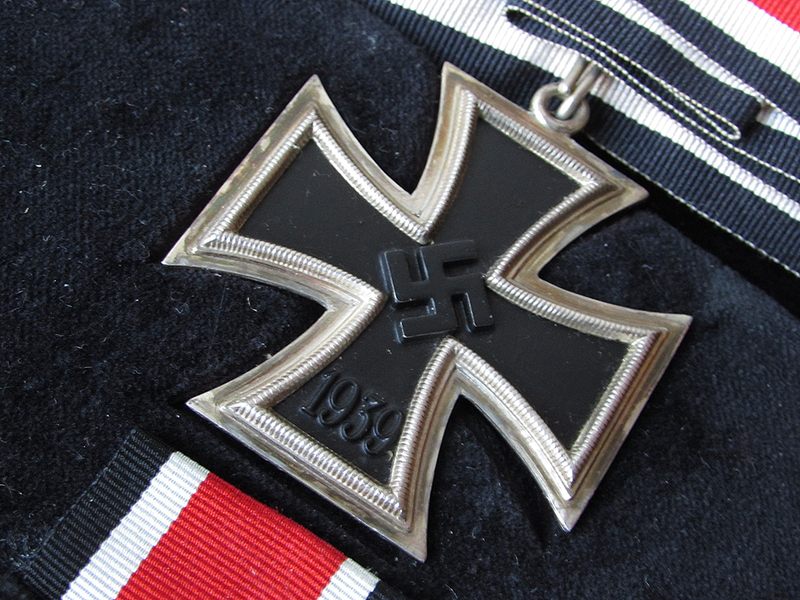 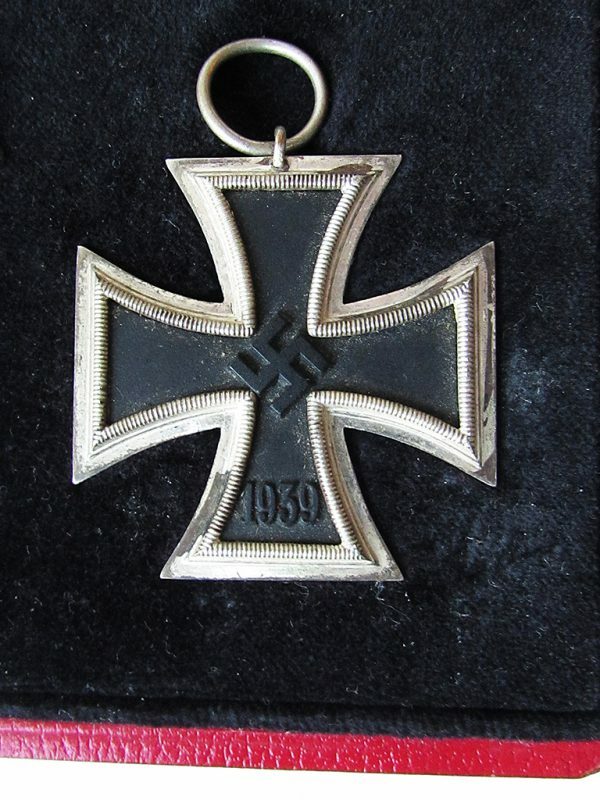 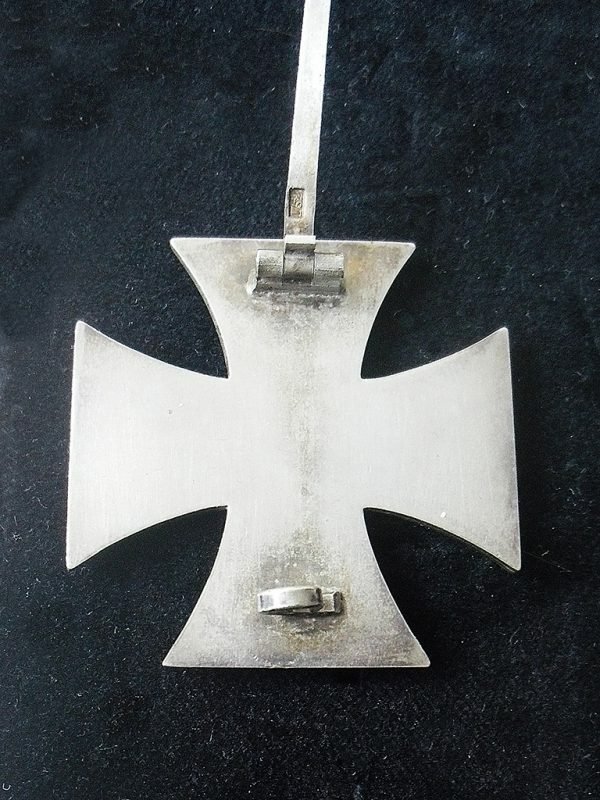 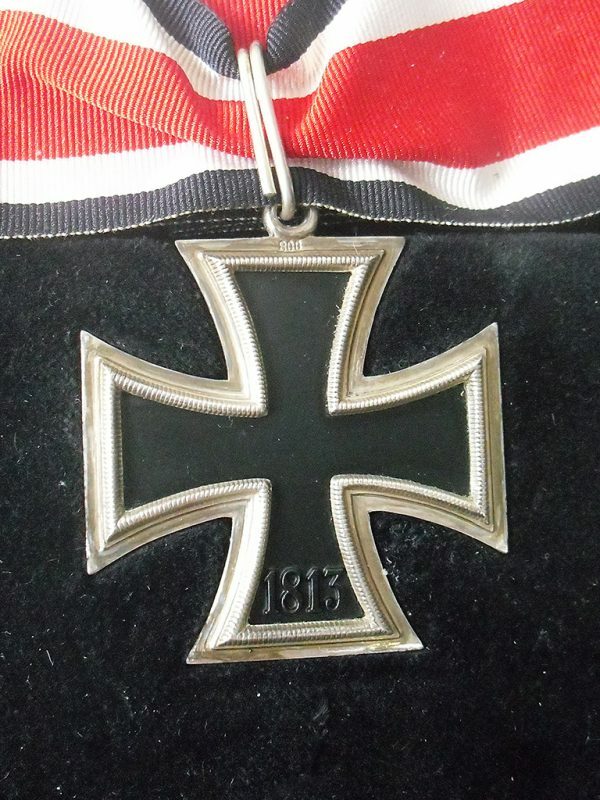 The Iron Cross is indisputably the most famous and notorious German award. 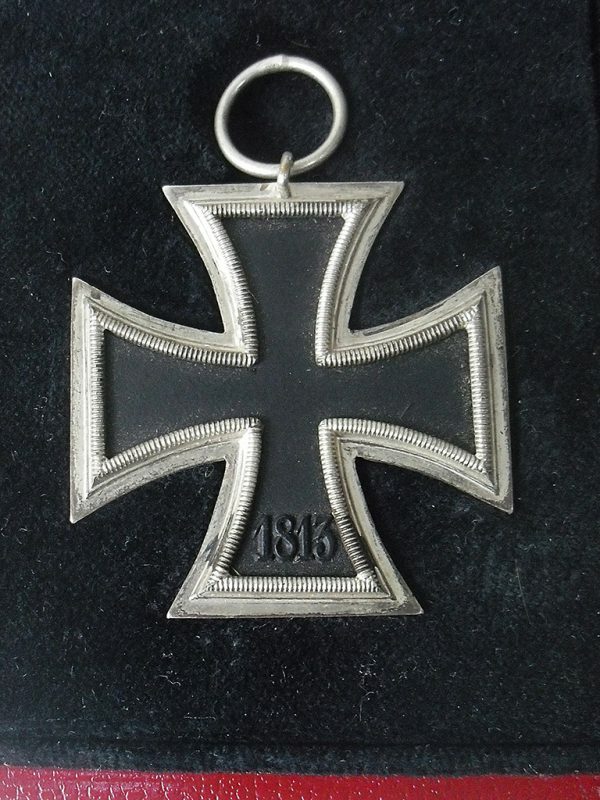 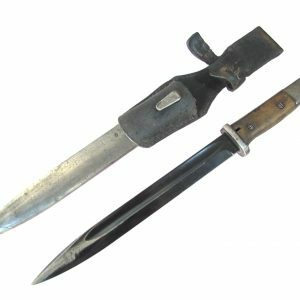 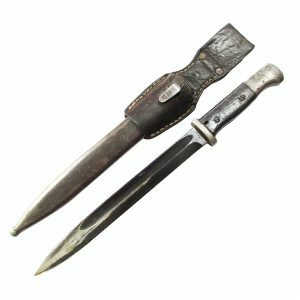 Its long tradition dates back to 1813, by King Friedrich Wilhelm III of Prussia. 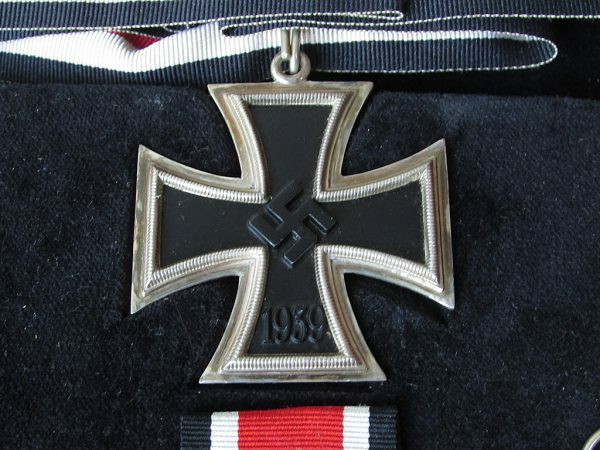 Re-instituted in September 1939 by Hitler with the Iron Cross series of awards. 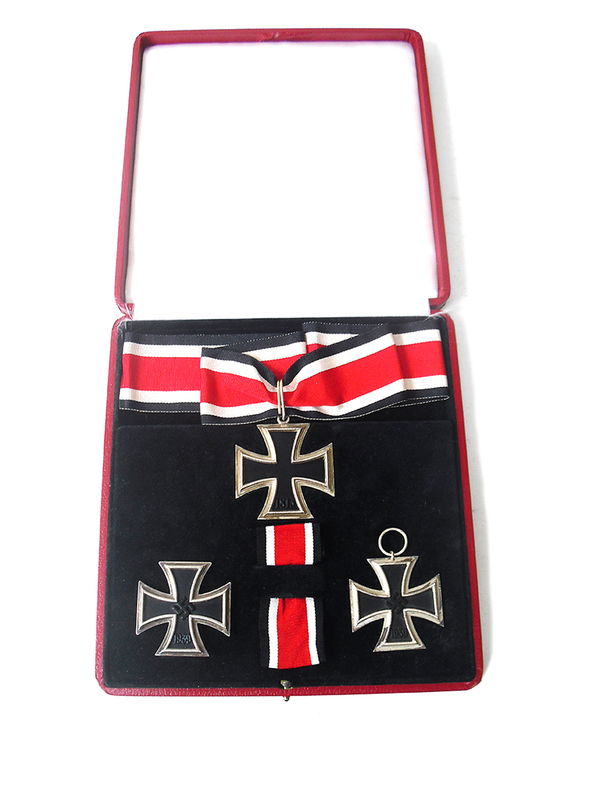 This is a fine display box consisting of both original Iron Cross 1st class and an original Iron cross 2nd class, with a good reproduction Knights Cross, in a reproduction display case. 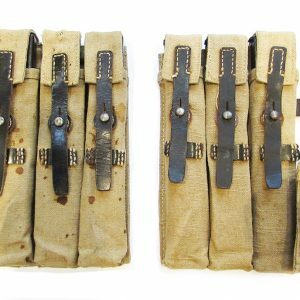 The Iron Cross 1st class is L/52 Zimmerman made and the 2nd class award is an unmarked S&L, Steinhauer & Luck, Ludenscheld. 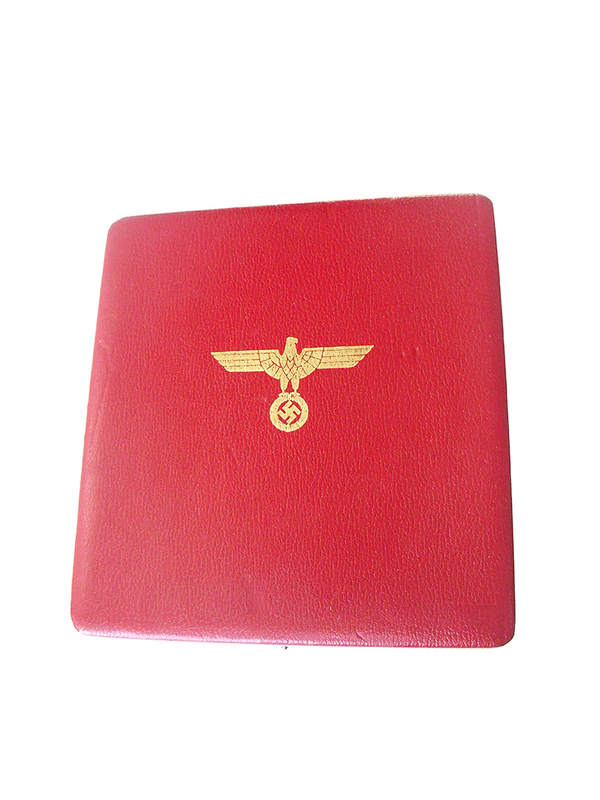 Both are in good condition and 100% original. 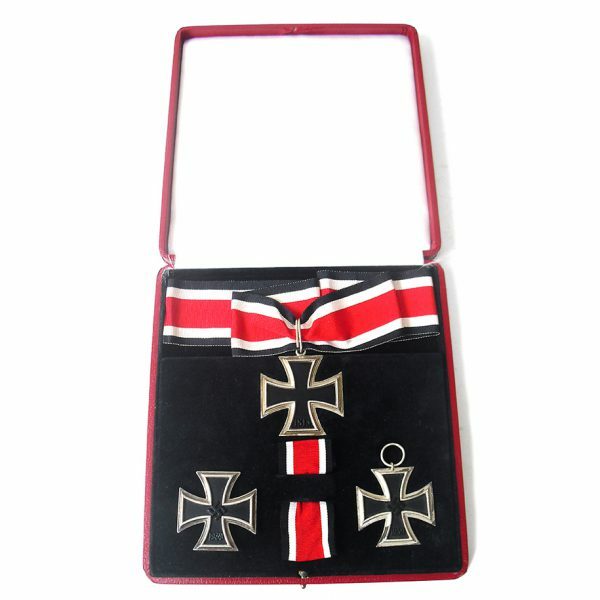 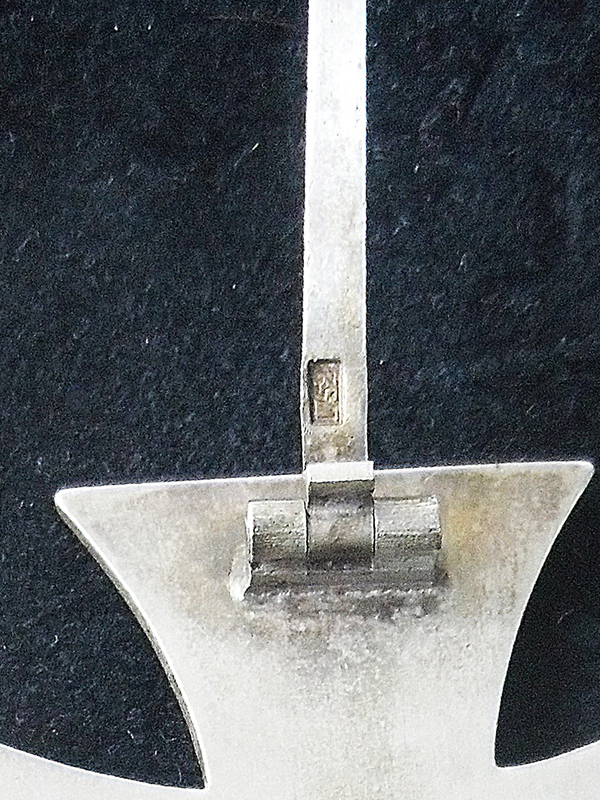 The knights cross is an excellent reproduction, stamped with 800 as per the original. A great display piece.